The fight spilled out on to the platform at Dewsbury Station. Police appealing for witnesses after a fight broke out on a train, which spilled onto the platform at Dewsbury station. Officers want to hear from anyone who witnessed the incident on board the 3.41 York to Liverpool Lime Street service at around 4.30pm on Thursday July 2. Investigating Officer PC Katie Purcell said: “Two females started fighting in the vestibule area on the service. 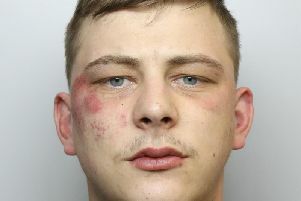 Three men attempted to split them up but the fight continued and spilled onto the platform at Dewsbury. “One of the women involved had large clumps of hair pulled out of her head and sustained bruises and scratches to her arms. Anyone with information is asked to contact British Transport Police on 0800 40 50 40, or text 61016, quoting reference PSUB/B2 of 20/7/2015.